When Robataya NY closed at the end of last year, the East Village lost one of its most distinctive restaurants, where barefoot cooks grilled food behind a semicircular bar and served it to diners with long paddles. But the establishment’s owners are turning lemons into lemonade, or rather rice into sake: Robataya has quietly been replaced by another beloved restaurant, an East Village outpost of Sakagura. 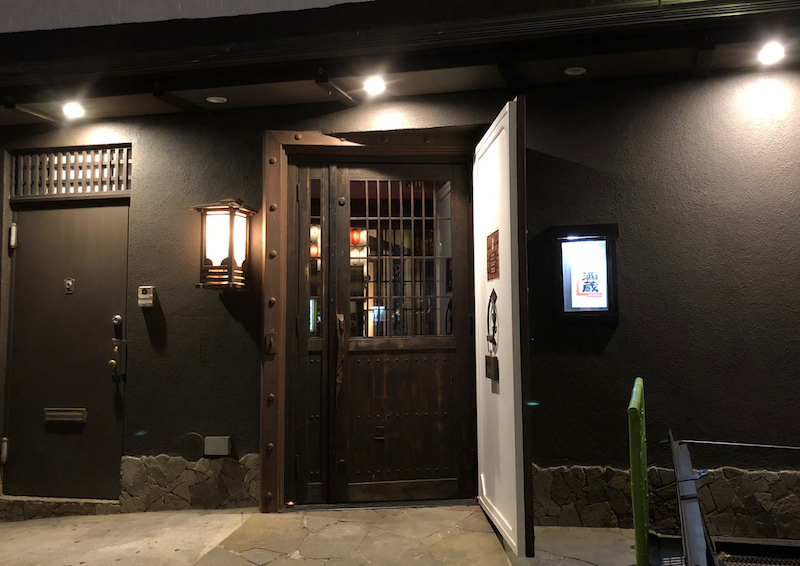 If you’ve never been to the midtown sake temple, Sakagura is famously accessed via the unassuming lobby of an office building and down a flight of stairs that leads to a basement hideaway. The East Village location, on East 9th Street, isn’t quite as hidden away. But a very soft opening has insured that, so far, not a lot of people know about the place. Inside, Robataya’s U-shaped bar has been replaced with a more traditional one with about a dozen seats. Behind it are a variety of artfully displayed drinking vessels reminding you what you’re here for: Sake, and lots of it. Sakagura claims to stock over 600 bottles in speciality fridges set to 41 degrees. When Bon Yagi opened the original Sakagura in 1996, he reportedly located it in midtown because Japanese consulate members told him the East Village was too dangerous. Yagi has since become the mayor of the neighborhood’s Little Tokyo district; T.I.C. Restaurant Group, which he runs with his daughter Sakura Yagi, owns Decibel, Rai Rai Ken, and nine other Japanese restaurants in the neighborhood. This one is nowhere near as sprawling as the original, and it doesn’t have the trademark sake-barrel restrooms. But there’s an Instagrammable wall of sake barrels in the modest dining room, and Robataya regulars will be pleased to know there’s still a fully automatic Toto toilet. that’s truly a wall of happiness. As for the food, you can peep the menu here. The pride of the restaurant are its rice pots, consisting of a choice of ingredients mixed into Yuki Tsubaki koshihikari rice, a coveted variety that has taken home awards at the International Contest on Rice Taste Evaluation (yes, Japan hosts an annual rice competition, with over 5,500 contestants going for gold). The sakes are listed in a bound menu, but you’re better off asking the informative servers for a recommendation and a sample. Order a tokkuri of it and it might come in an ice bucket, surrounded by meticulously arranged fresh flowers. Online reservations are coming soon, but in the meantime you can call 212-979-9678 or just walk in. Sakagura East Village is at 231 East 9th Street and is open Tuesday through Thursday from 6pm to 10:45 pm and Friday and Saturday until 11:45pm.